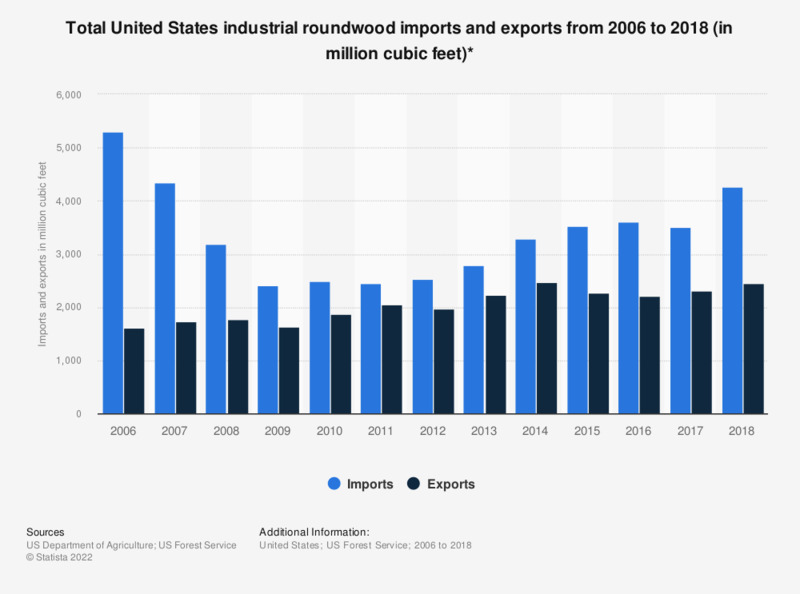 This statistic shows the industrial roundwood imports and exports of the United States from 2006 to 2015. In 2015, industrial roundwood imports in the United States amounted to 3.52 billion cubic feet, while the exports amounted to 2.27 billion cubic feet. Figures for 2004-2012 were restated in the 2015 edition of the report.